I know there's lots of Flite Test fans that are eager to build their own foam planes, but are in places where the DTFB isn't available. But that's not stopped everyone. So I'd like to build a list of what substitute foams you guys are using, and where you're getting them. Please include what country you're from, so other people from your part of the world can get to building some foam planes too! 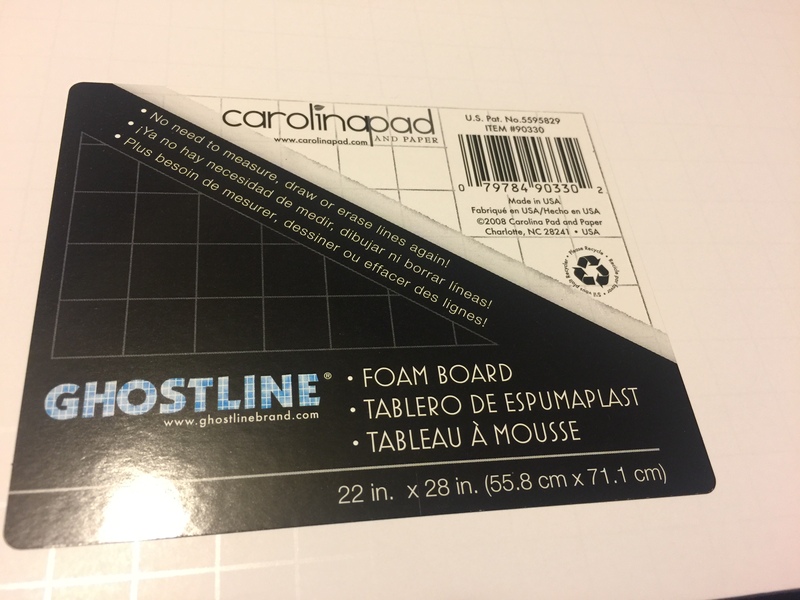 I use this Foam Board when I am outside the U.S. but still use our postal system. For the folks in the UK or European countries, this is available through Amazon, but the taxes make it pretty expensive. The prices change constantly by color. I buy which ever color is cheapest at the time. This is Adams Readi-Board distributed by BAZIC. Here are a couple threads where this foam has been discussed. Another foam option I have used is Model Plane Foam. Again, the guys across the Atlantic get raped on the shipping and taxes. The build technique gets a slight modification because this has no skin. Again, produced by Adams. My favorite material in the moment is "Creat' Airplac Graphic Satin". I can buy it online at gerstaecker.de or kreativ.de in many, even large sizes. I googled a bit and found online shops in many european countries selling it. I would compare it to Ross Foam, which, I believe, is not so bad at all. USA here. I know most people can get DTFB but I also like Model Plane Foam. It doesn't have the paper on it like DTFB but it builds great. I usually find mine in trees. I found this foam in art stores in Tibas and Heredia. The store name is Guila and they have 2 different sizes. 1 meter and 50cm. It is about 6 mm thick with paper on it that can be hard to remove. I usually cut out my parts and soak them in water for an hour or so. Then rub the paper off. Sometimes it peels off in chuncks. It looks like depron. It is called Cartofoan. Works real good too and it is inexpensive. uk here..... westfoam off of ebay !!! Also in UK and get mine from HobbyCraft. It's 5mm board back with heavier stock paper, so is...heavier. I will try this also. You can buy them with different thicknes of Paper and even without paper. That will be good if you print your own designs. it is 5mm thick and tha Pack is really cheap 14 &#8364; for 5 sqare meter. The size of the plates are 0,625 m x 0,8 m The Material is XPS (Extruded Polystyrol). I will post the weight this evening. I have seen that this foam is inported to US from germany and cost 30$ a pack. I glue the normal printer paper with normal Scotch spray glue from the rattle can. Not the expensive 77, just normal Glue. In Hawaii there is no dollar tree so I either buy FT foam from their store or get Elmers foamboard from wallyworld. Elmers is heavier than DTFB but it is crazy strong. 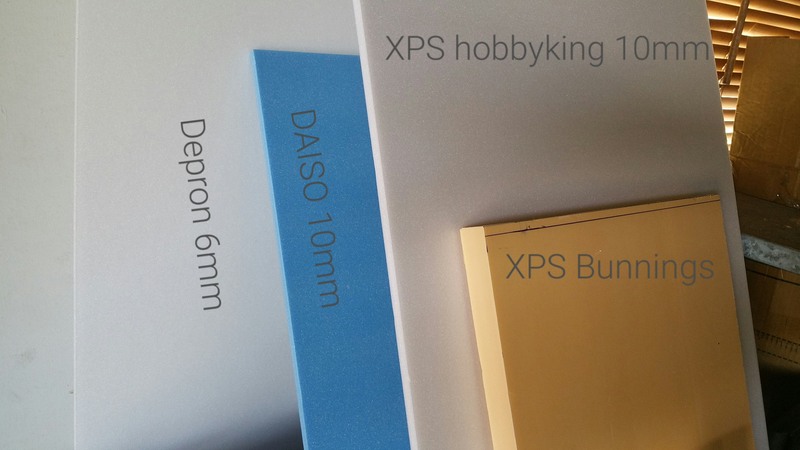 Hobbyking foam: Cheapish and in 5mm and 10mm thicknesses, slightly heavier than depron and not as easy to work with, but at 1/4 the price of depron. XPS foam insulation: from bunnings in 30mm and 50mm sheats. Great for wire cutting or shaping a fuselage. I like using a combo of these materials with hot glue and 5min epoxy. Sorry I forget who makes it at the moment, but its not Adams. I gave it a try for some pieces I was cutting out today. It seems to me that the paper is better stuck to the foam, bjt not so stuck that it can not be removed. I havent checked the weight on the scale but it feels ablut the same as DTFB. I also dont know yet how ot compares strength wise. I'm from Ireland and before Graupner came on board, I used to buy A1 sheets of white FB from Evans Art Supplies in Dublin. New Zealand. I have been using our local foam board which is available from most stationary stores, but today I discovered genuine Adams Readi-board at Uncle Bill's discount store. I found foam board at Office Max but it's pretty expensive at about $4 a sheet. There is a store called Avance that has big 1.22m x 2.44m sheets at a good price that should work. As soon as I can get some from them I will verify. There is KD Board in Indonesia or in China it called KT Board. Foam core board laminated with thin PE film. It useless if You want to make a wing (the thin cover will break), but good enough for A/B fold and bevels. Luckily we had access to a heavy duty scotch tape. I accidently got some Elmer's foam board at Wally world instead to the regular board for 88 cents a sheet. Sure beats working with the 88 cent sheets and is defiantly stronger and better to work with just finished the Mini Guinea and waiting for the mini servos then off to the field to test it out. Was in WM last week thumbing through the FB rack and came across this. Has anyone else seen it and used it. It comes 55.8cmx71.1cmx4.6mm with half inch grids pressed on one side. It's like a dense, brittle foam sandwiched between two sheets of construction. I got a sheet ($2.77vs$0.98 for DTFB) and have cut out all the pieces to a Baby Brit. It's a devil to cut and work with plus it eats blade edges fast. I wonder how a laser or needle would handle it.So far its going to take a good bit of sanding the get the edges smooth and even and to balance it. Otherwise it seems significantly stronger than FT or DTFB but heavier too. Looks like it will hold paint well too. I'm going to finish it and seal the edges then see if I can finally get a successful maiden flight with something I scratch built.